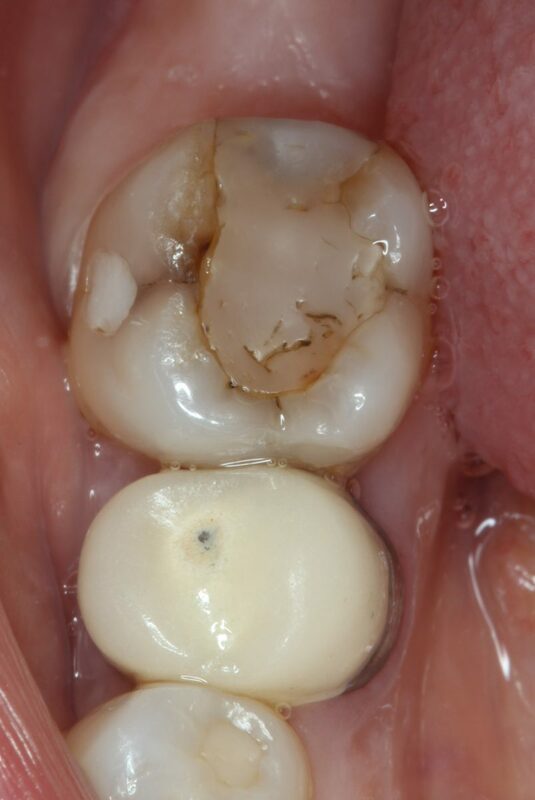 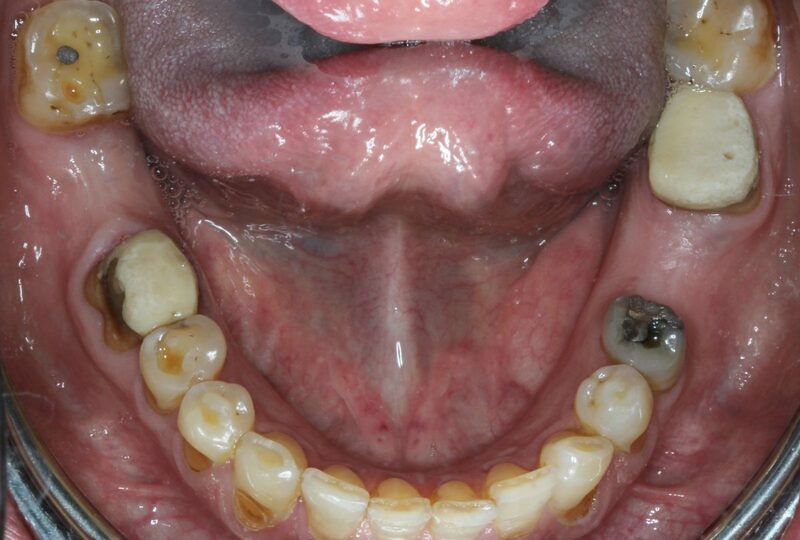 This patient wanted the top left premolar tooth replaced for aesthetic reasons. 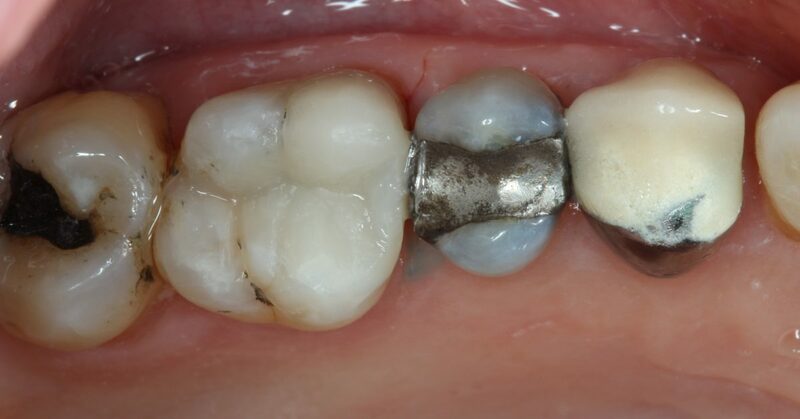 An implant with a metal-ceramic crown was placed. 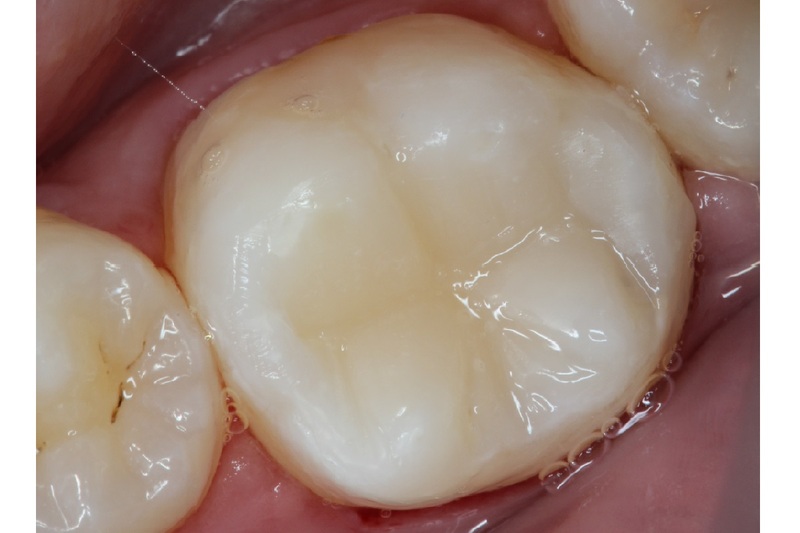 A great, natural-looking result was achieved. 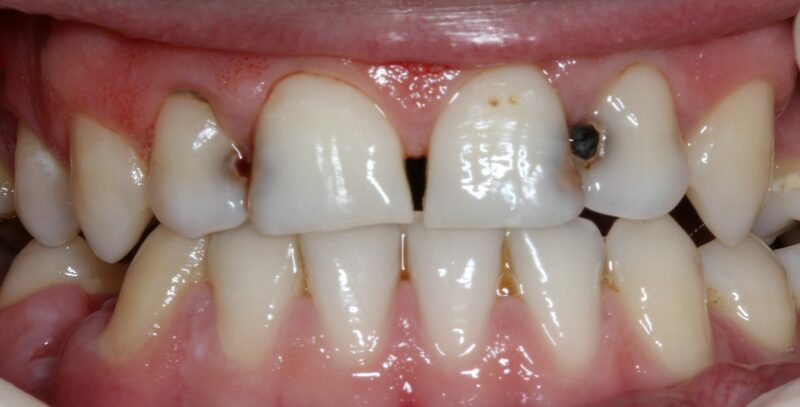 This young patient was not happy with the gaps between her teeth. 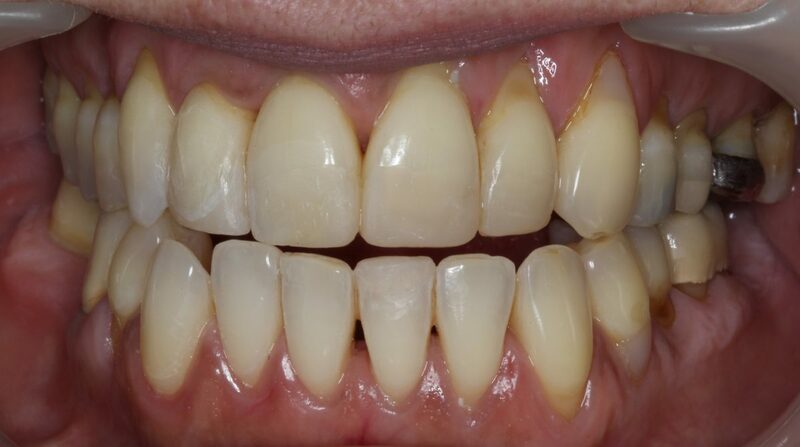 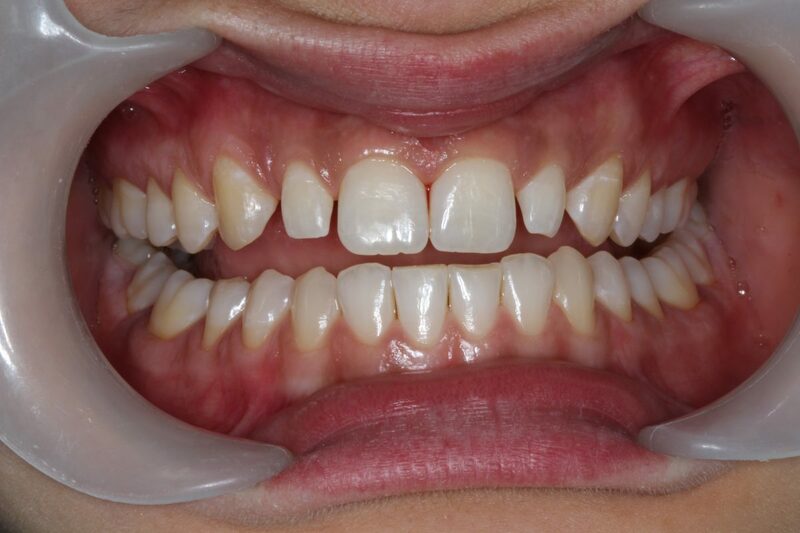 Cosmetic restorative work was carried out with fillings and porcelain veneers. 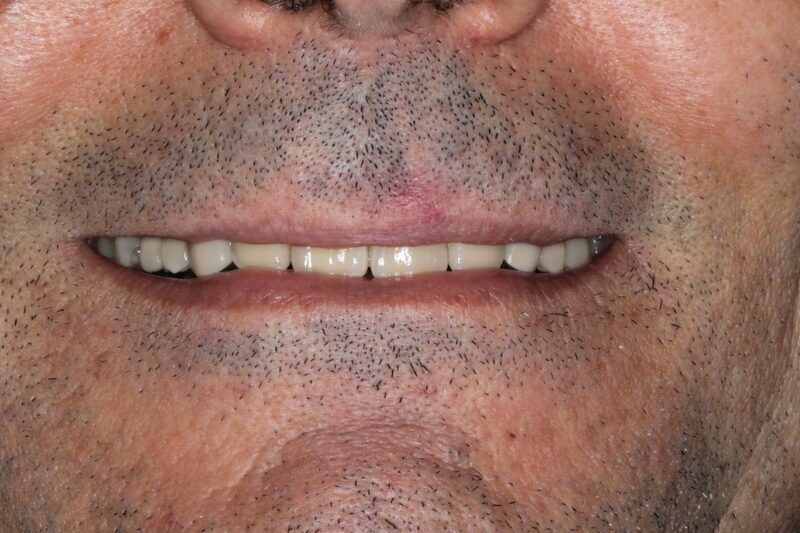 A confident smile restored for this gentleman who had broken front teeth. 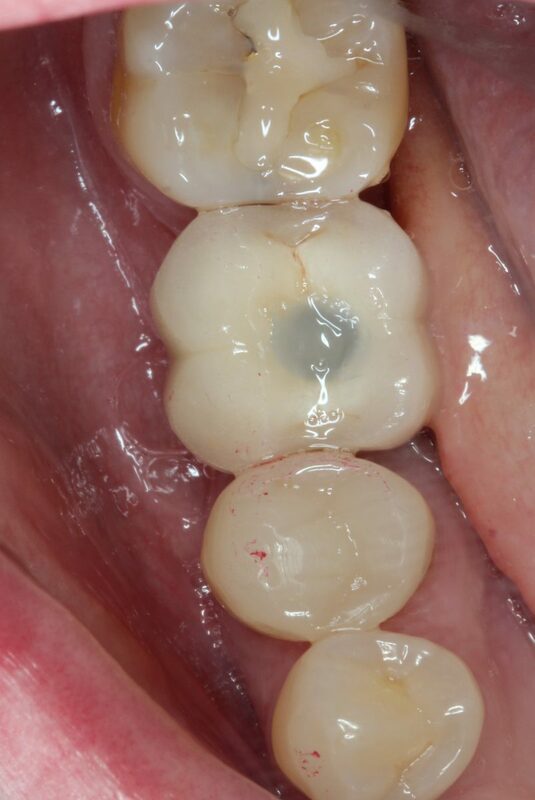 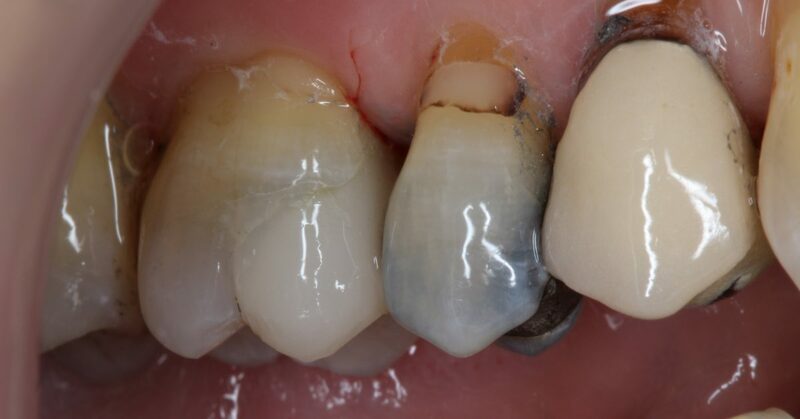 Metal-ceramic crowns and white fillings were used. 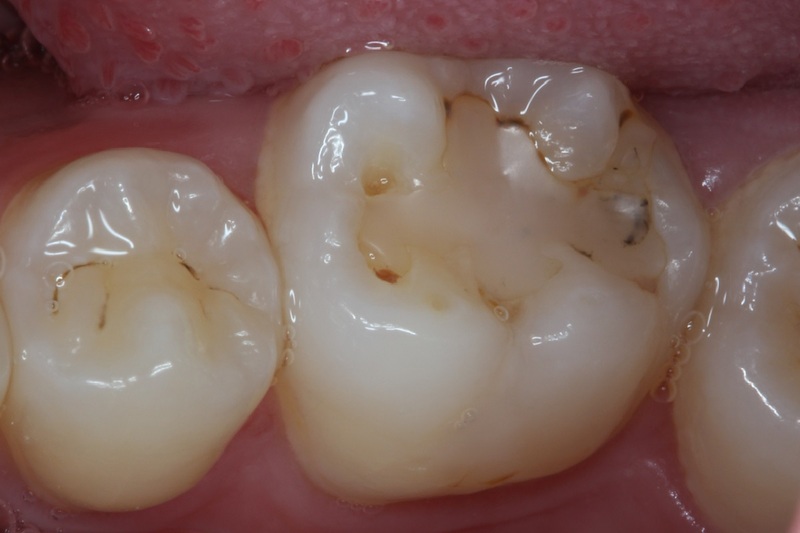 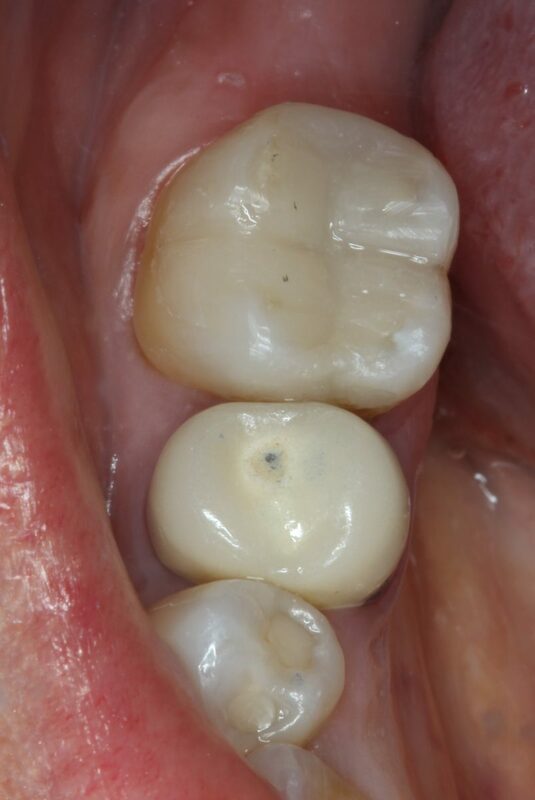 An old and broken white filling was replaced with a new natural-looking restoration. 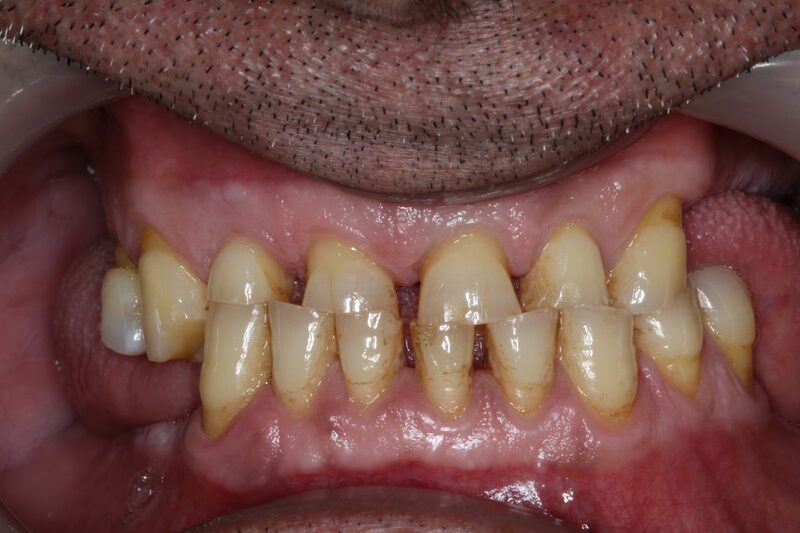 Chipped and rotated front teeth. 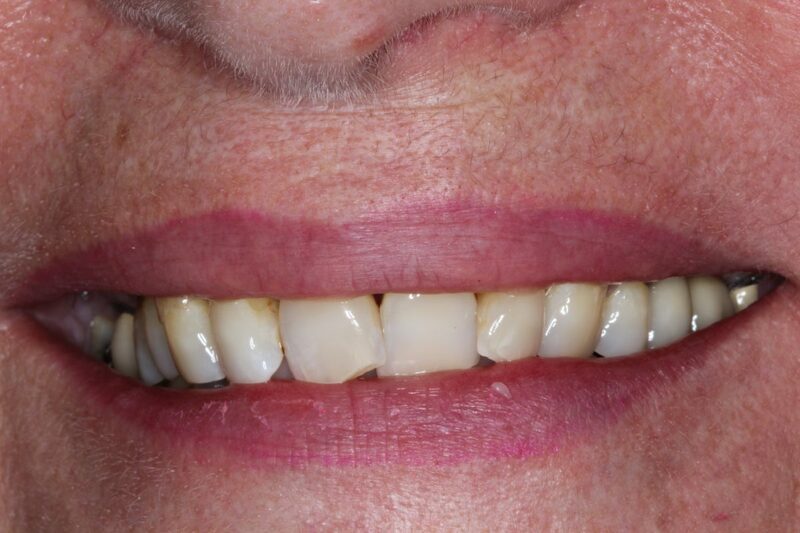 A one-day treatment to restore appearance. 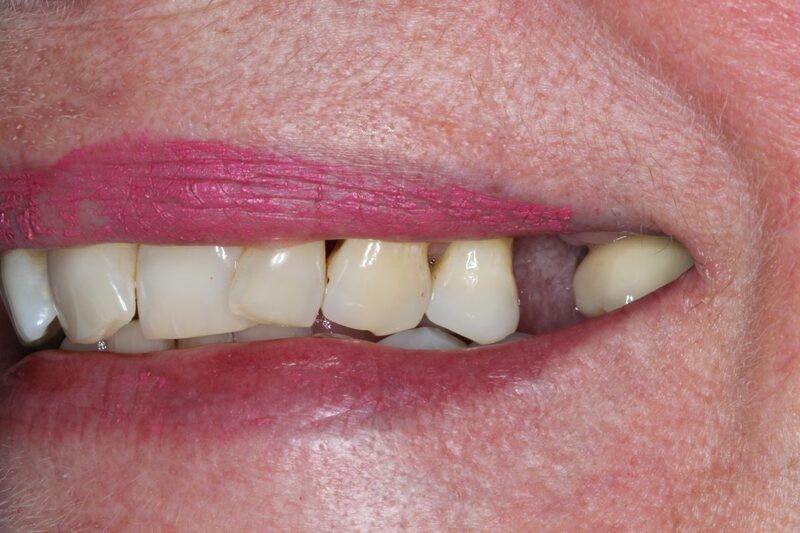 The patient was truly delighted. 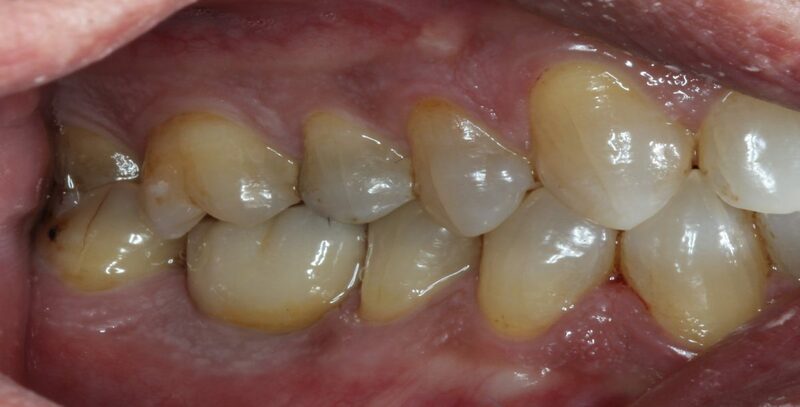 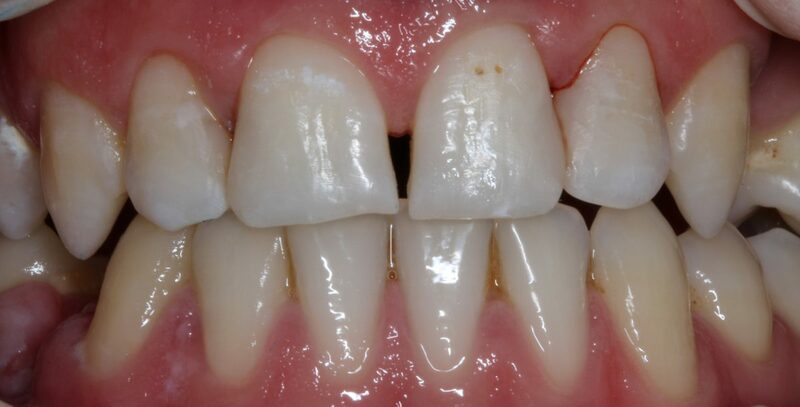 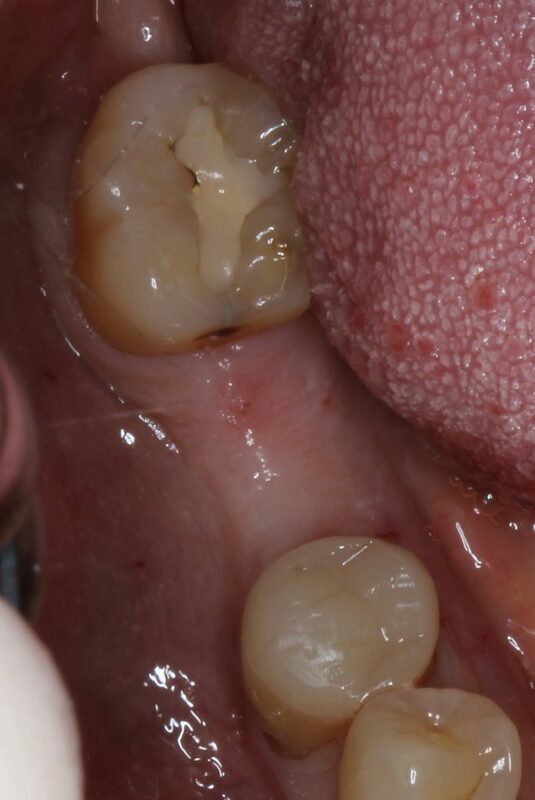 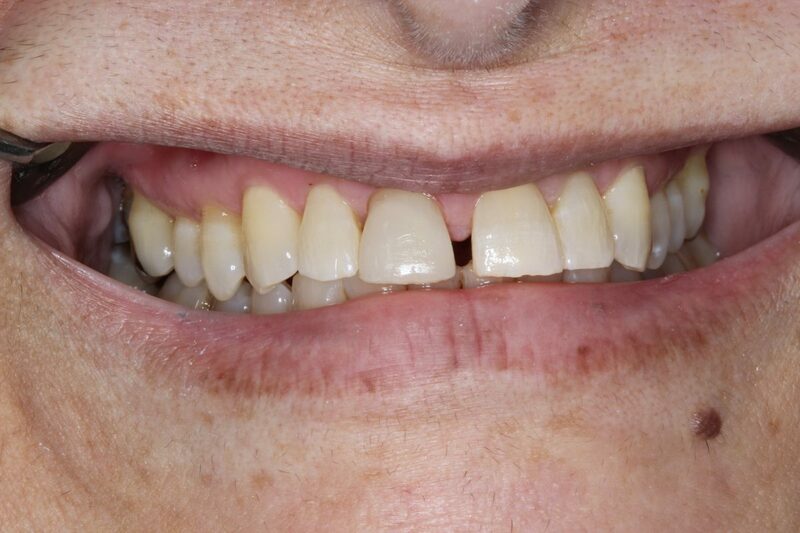 Appearance was greatly compromised after this patient lost the crowns of her front teeth. 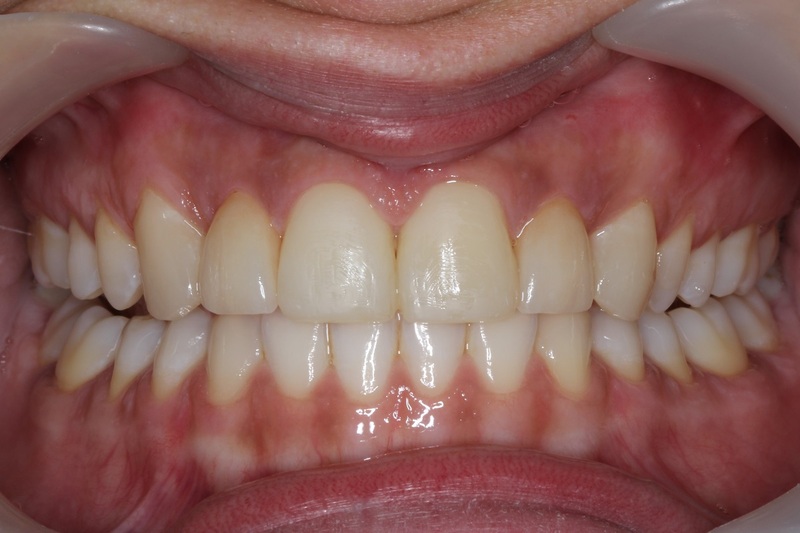 A beautiful smile was restored with new metal-ceramic crowns. 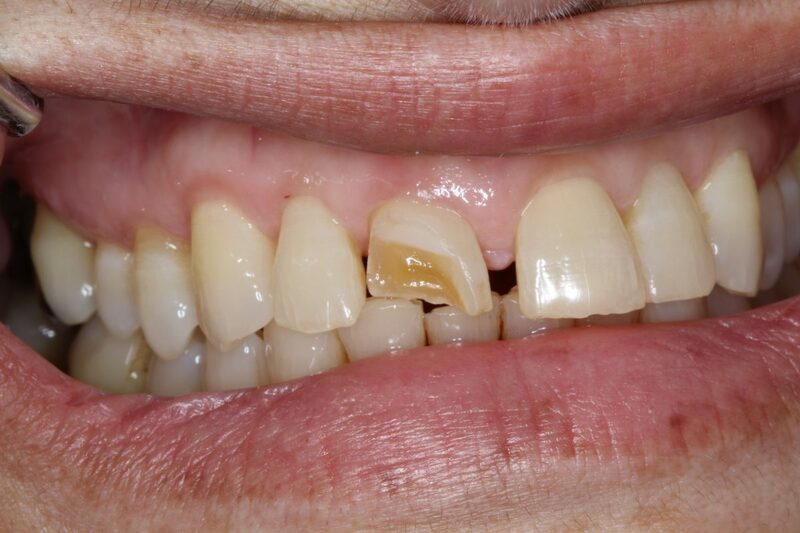 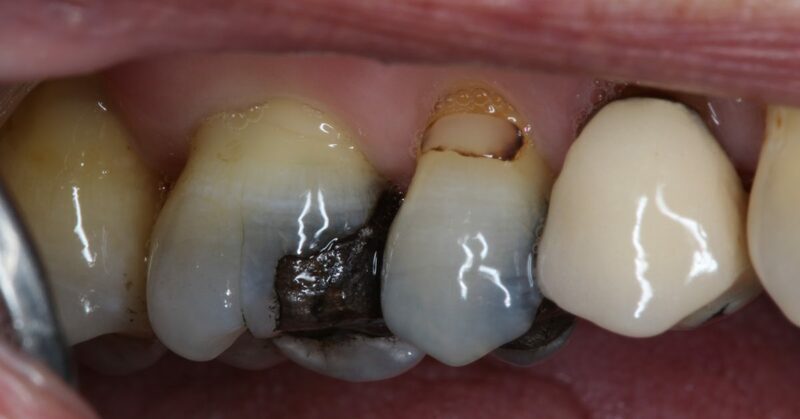 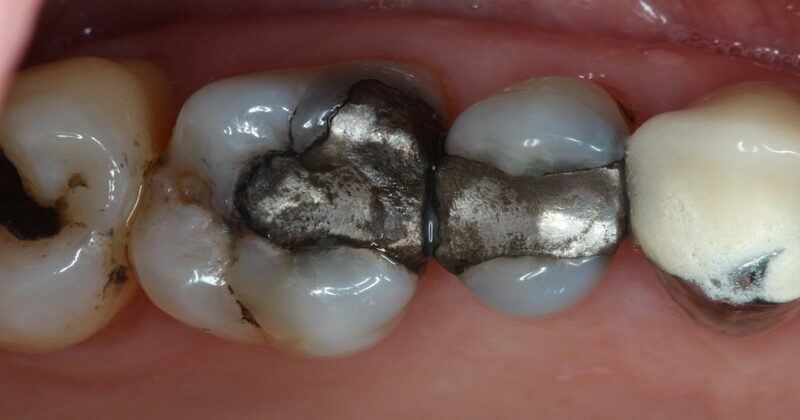 This patient was concerned about the appearance of the old silver filling since it was showing when she smiled. 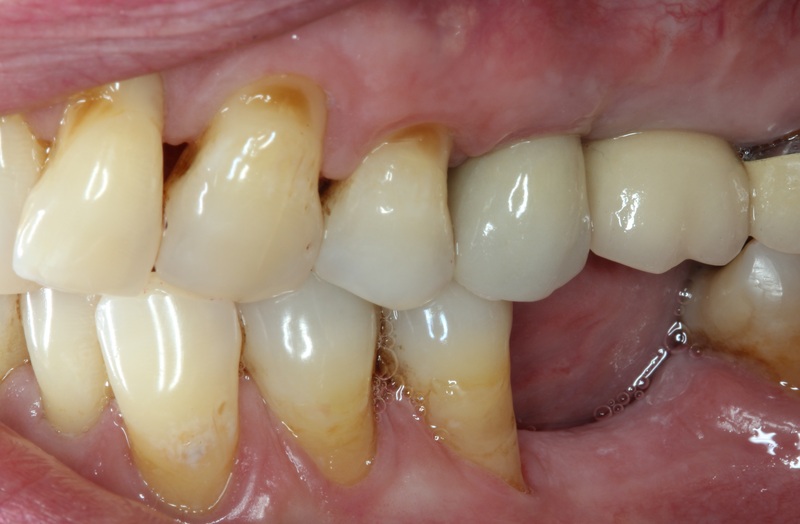 The restoration was replaced with a natural-looking white filling. 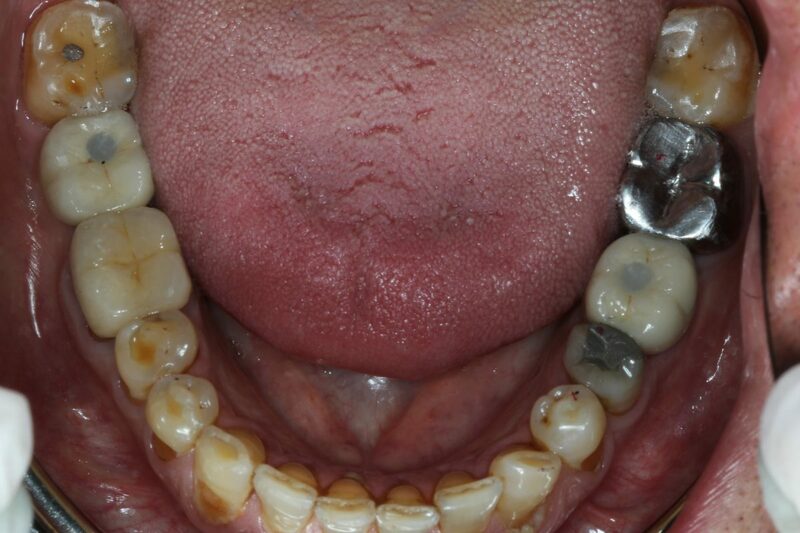 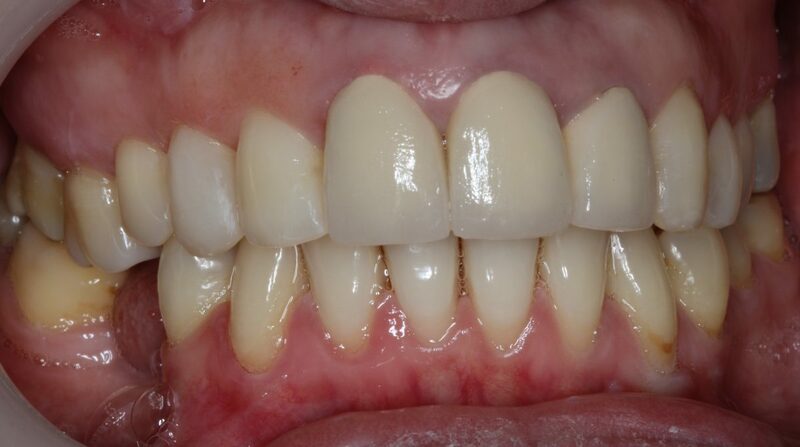 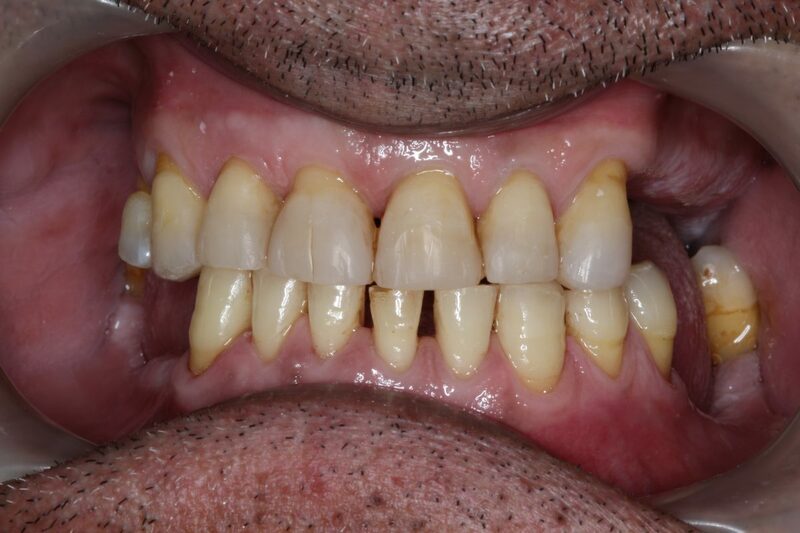 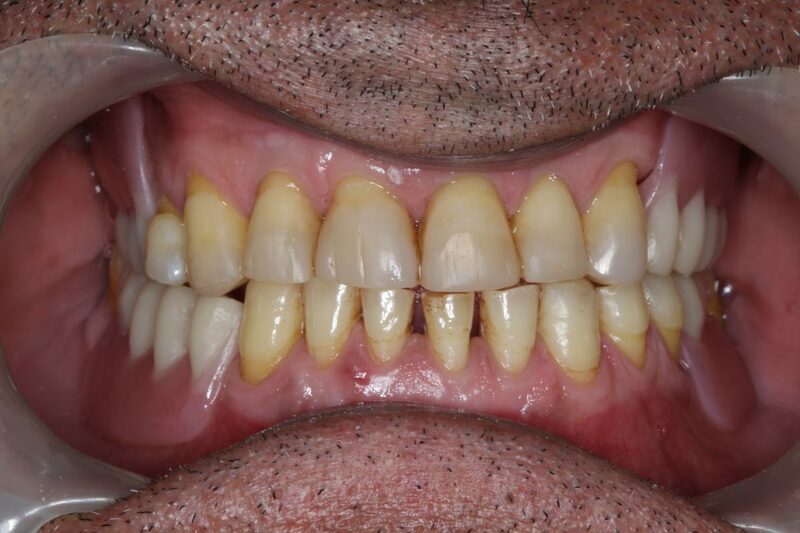 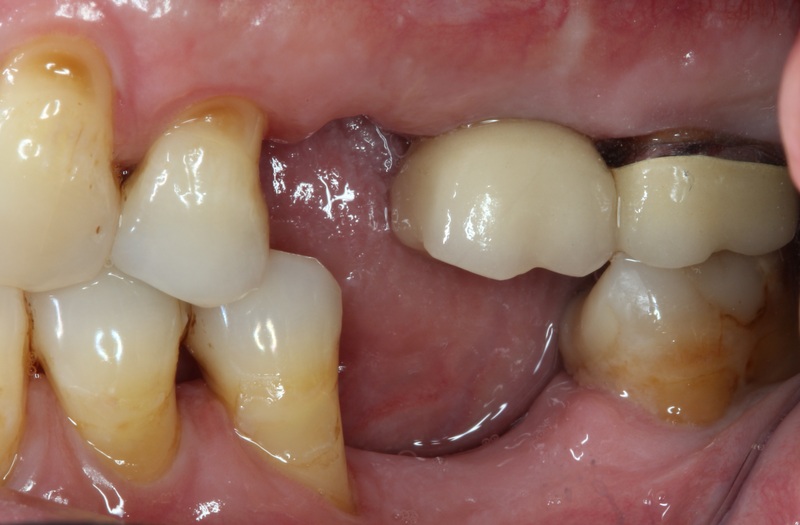 A very challenging case with missing back teeth and severely worn down front teeth. 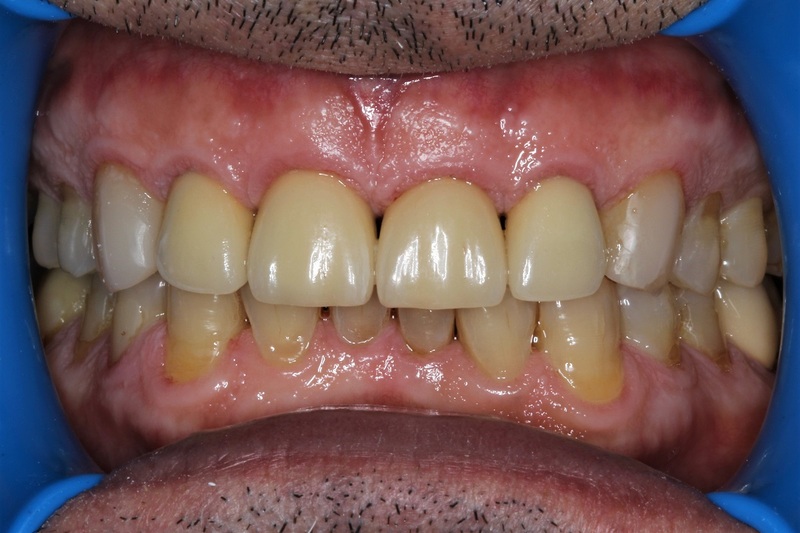 The teeth were restored with white fillings and the missing ones replaced with plastic dentures. 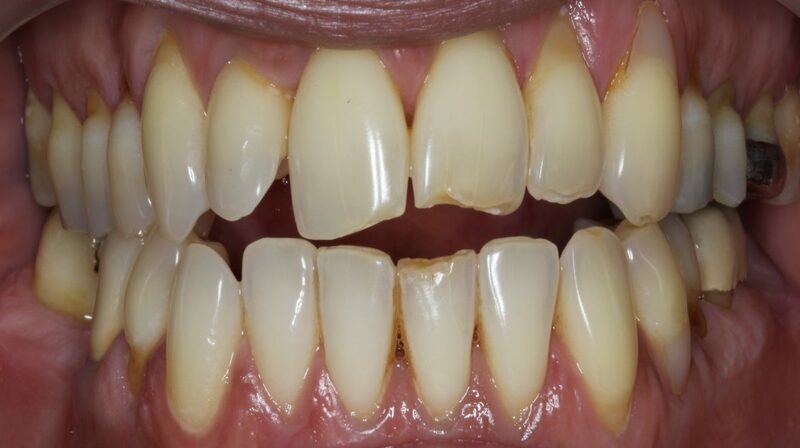 Appearance and function was restored. 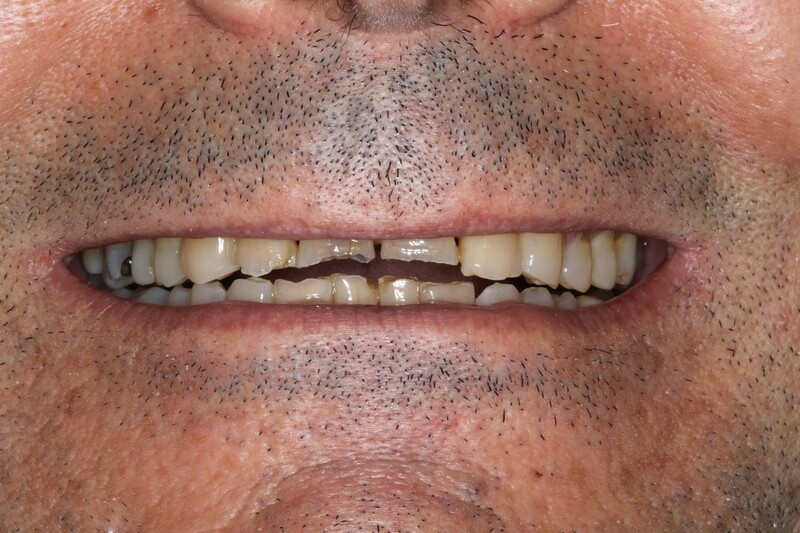 Two implant crowns placed and several restorations to restore a healthy set of teeth for this lovely man. 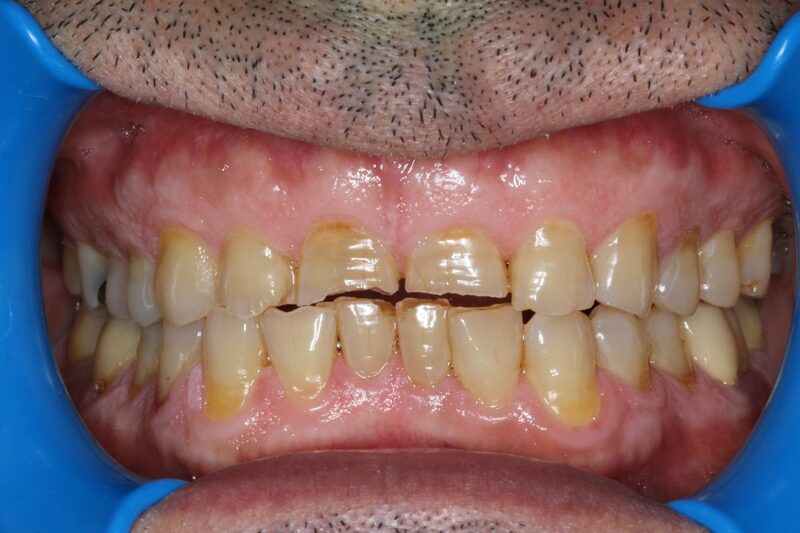 A very anxious patient visited our practice after years of neglect. 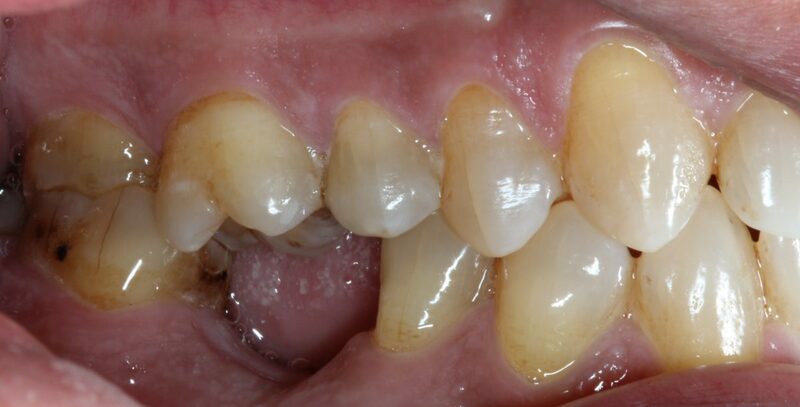 The decayed front teeth were restored with white fillings. 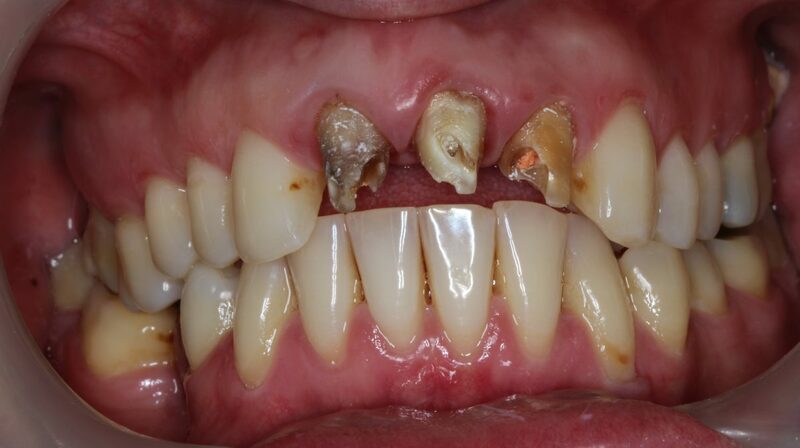 The patient was extremely delighted.